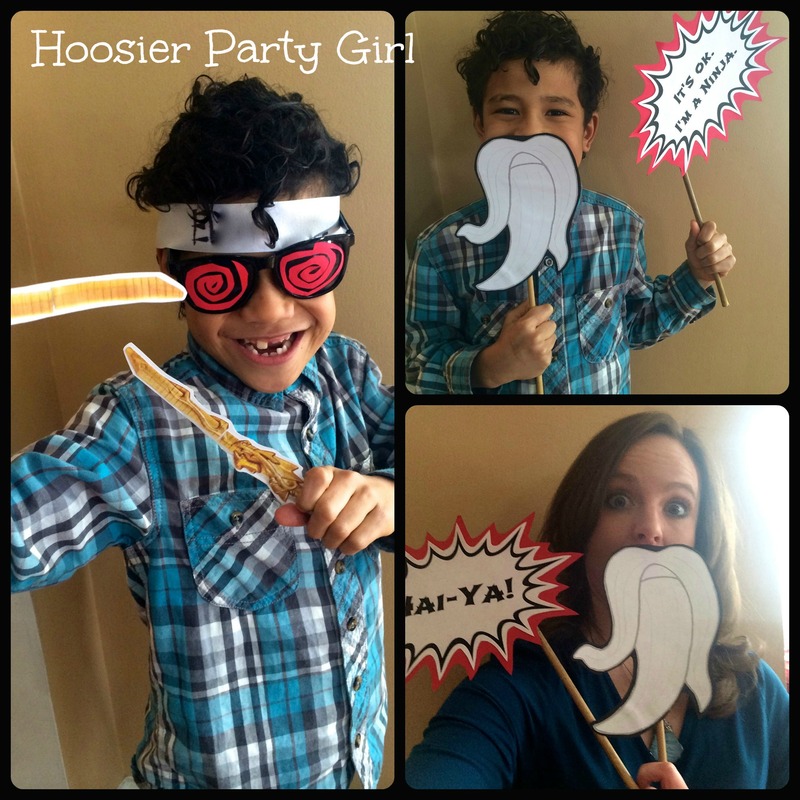 I simply had to make the kids ninja headbands when I saw a pin from (I)(L)ove(D)oing(A)ll(T)hings(C)rafty. 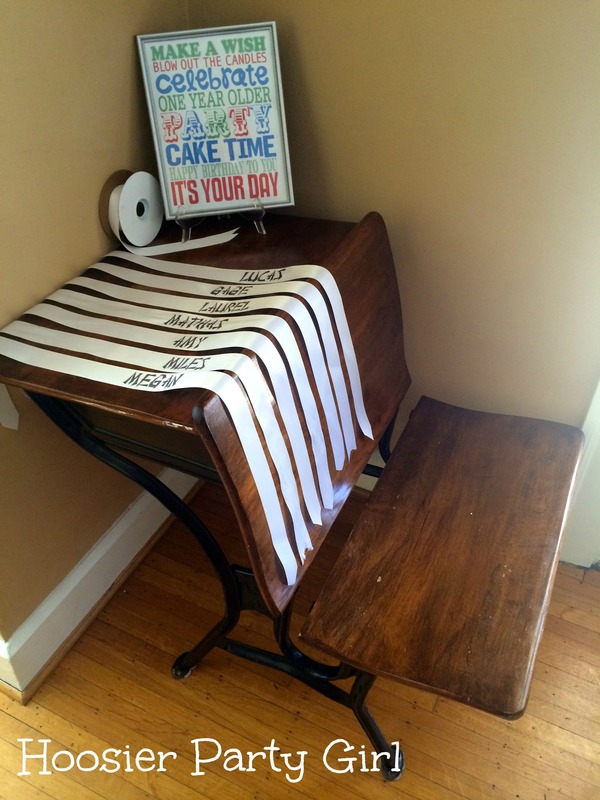 The (free) birthday printable is from eighteen25 and something we use over and over. 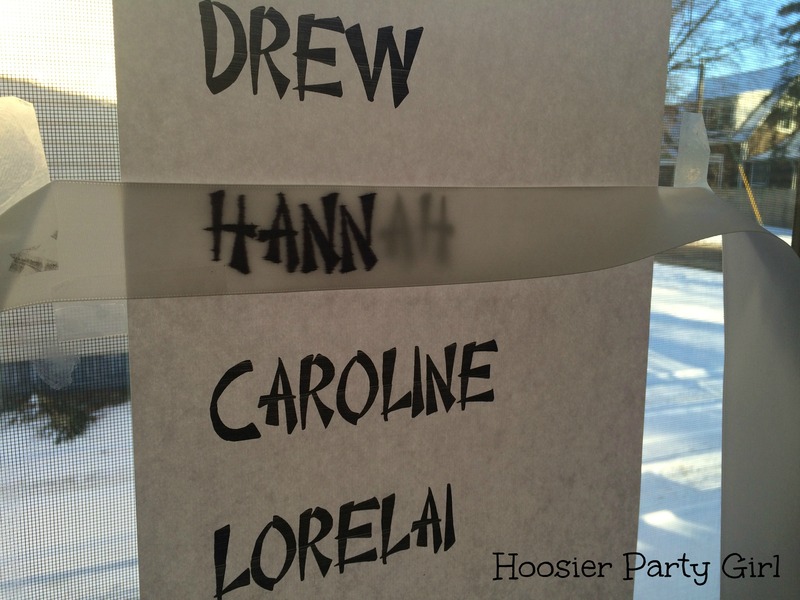 To prep your own ninja head bands, order some 1.5″ satin craft ribbon (I ordered ribbon that was too wide the first time) and print out the names of all of the party guests in 80 point Chinese Takeaway font. I had plenty of extra ribbon on hand for head bands for the adults as well. Tape the pages to a window, tape a strip of ribbon (approximately 36″ long) over the name, and trace with a fine point Sharpie pen. This has to be done during daylight hours, so I did it mostly on weekends and saved my origami throwing star folding for after bedtime. 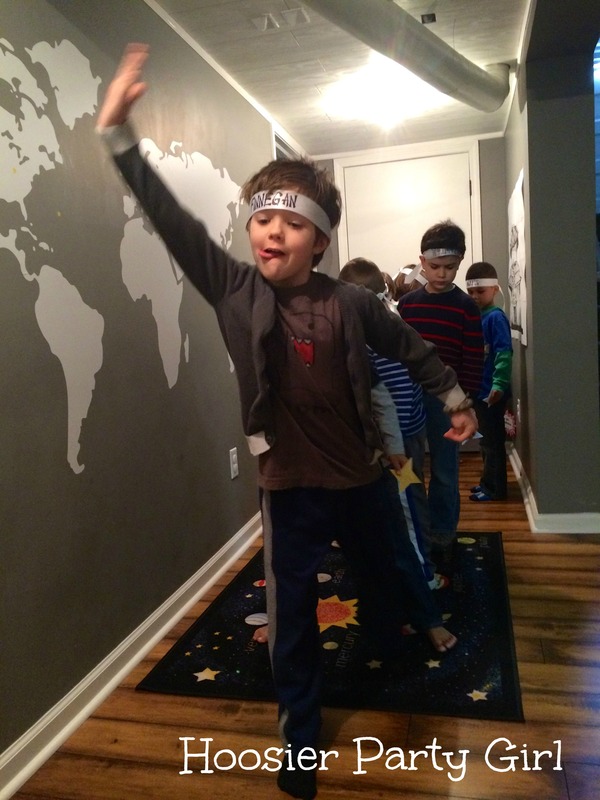 Aren’t these ninja head bands adorable?!? Almost as cute as Designhermomma’s Baby Paul. In addition to the head bands, I sent everyone home with fortune cookies. 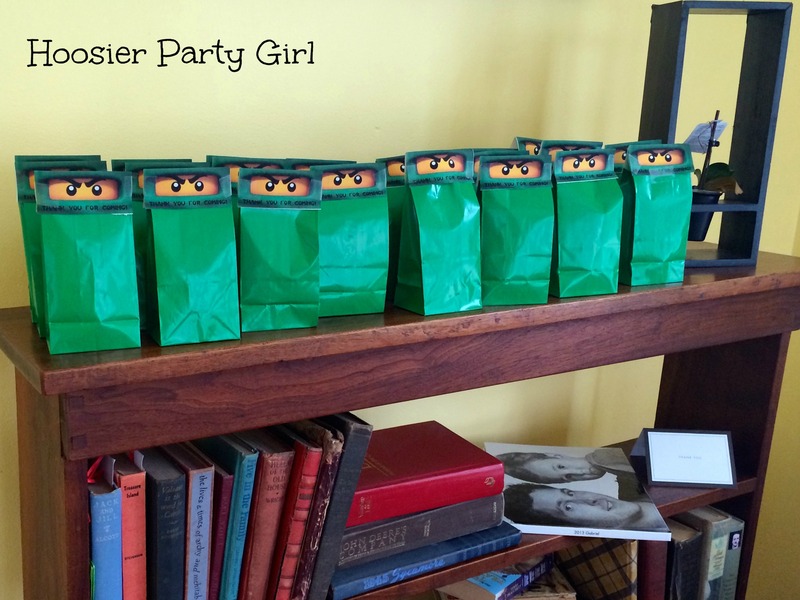 You can get these green bags here and the free printable Ninjago green ninja favor tags at our homemade happiness. While the Sugar High Sushi was probably my favorite part of this party, the Lego brick banner was a close second. 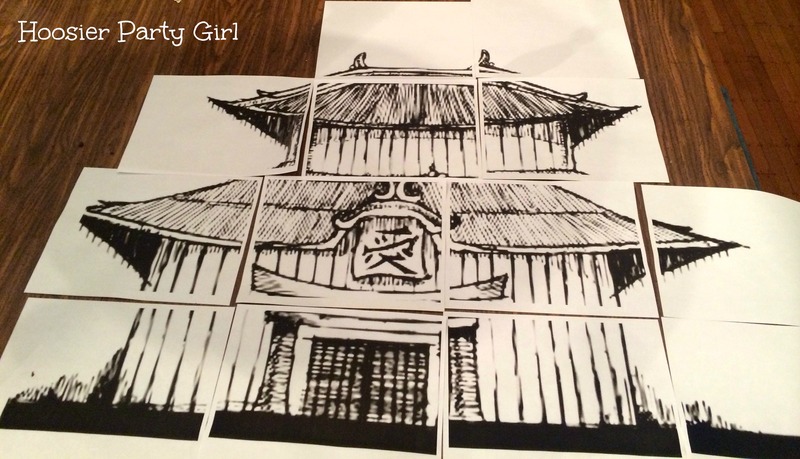 I saw lots of cute Ninjago bunting ideas on Pinterest, but I wanted to work the Lego part of Ninjago in a bit more. 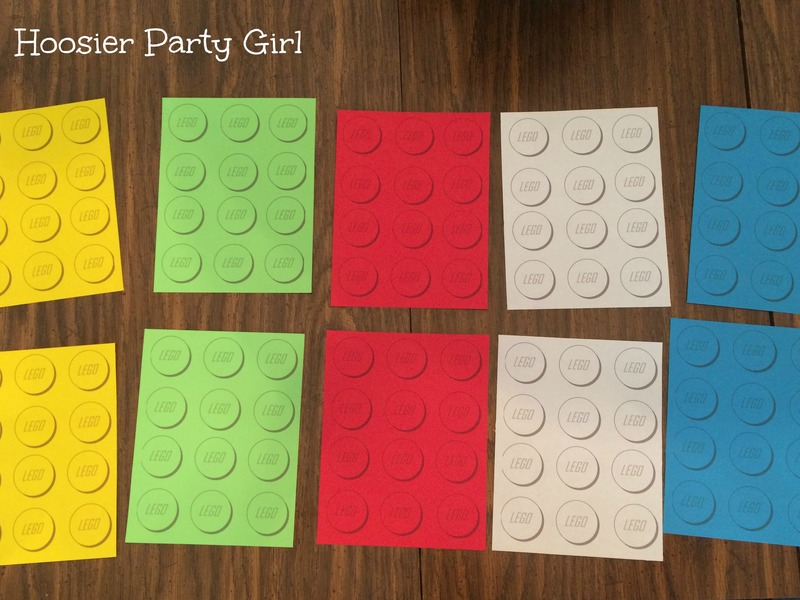 Delia Creates has the perfect free printable Lego bumps and lots of other cute Lego ideas. I took her printable, turned it landscape (without auto-rotate) and printed at 137% to create two 3×4 Lego bricks per 8.5″x11″ page. I then printed my letters in 300 point Chinese takeaway font, cut them out, and applied them to my Lego blocks with pop dots just like I did for the antique book bunting. This, like all the other banners I have created, now hangs in the birthday child’s bedroom. 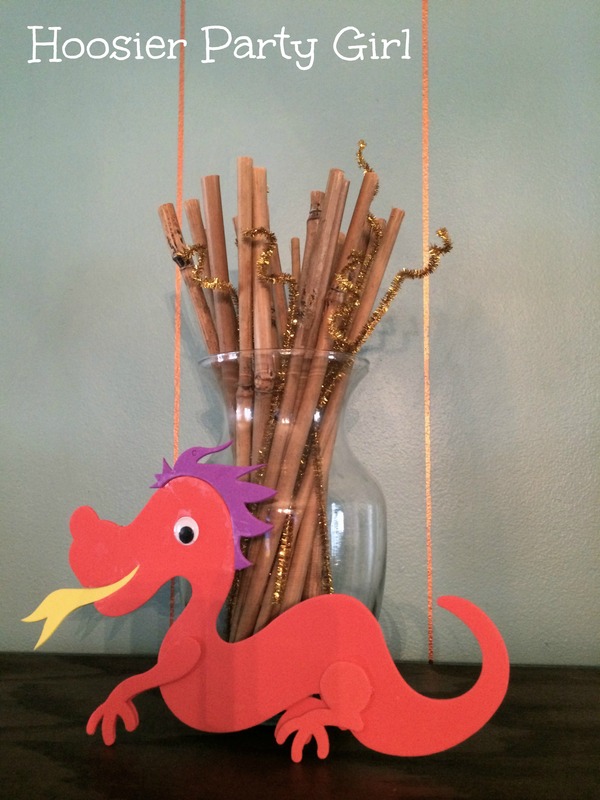 We re-used lots of dragons from Chinese New Year, like this guy with the bamboo sticks and gold pipe cleaners left over from New Years Eve, and Lego dragons from the old castle sets. 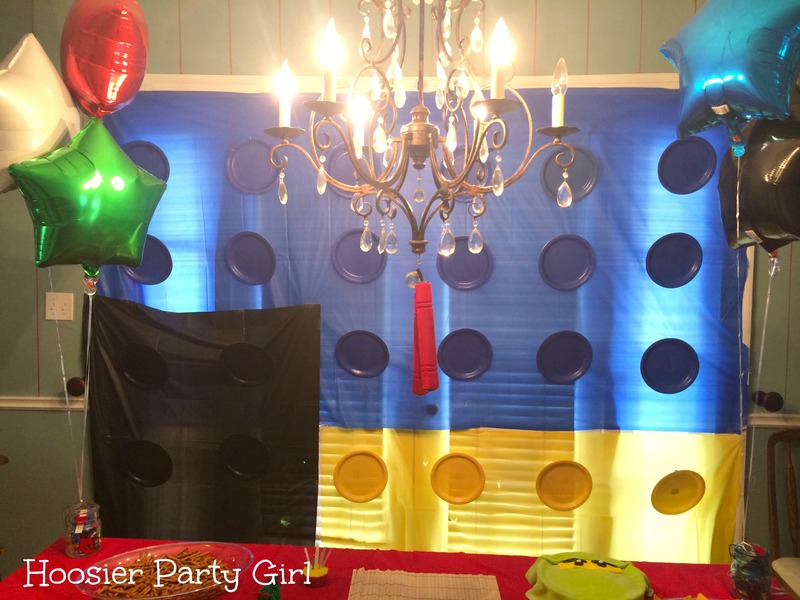 The giant Lego brick back drop is made from disposable table clothes and paper plates, although I would have used Delia Create’s Lego bumps again if I had papers in the right shades. 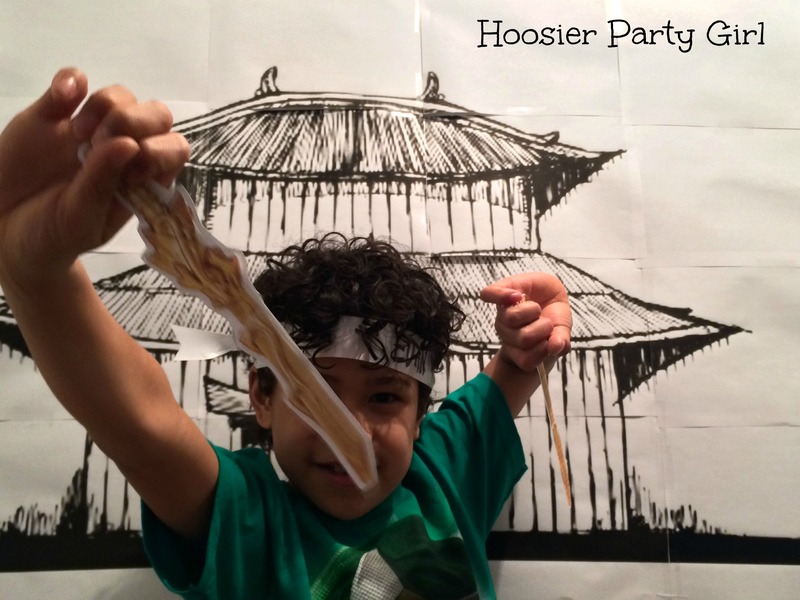 The nunchucks hanging from the chandelier were an impulse buy at Dollar Tree which basically became yet another gift for my son along with the Ninjago Green Ninja t-shirt we spotted while picking up last minute party supplies. The balloons (weighted by ball jars filled with Legos) would have had Ninjago eyes if I hadn’t run out of time. There was also a “7” candle and a tall jar filled with Legos ala this first birthday party centerpiece, but it showed up (with my parents who were filling it) right as the party started and I didn’t grab a photo. Of course the birthday party wreath was hanging on the door to welcome our guests. 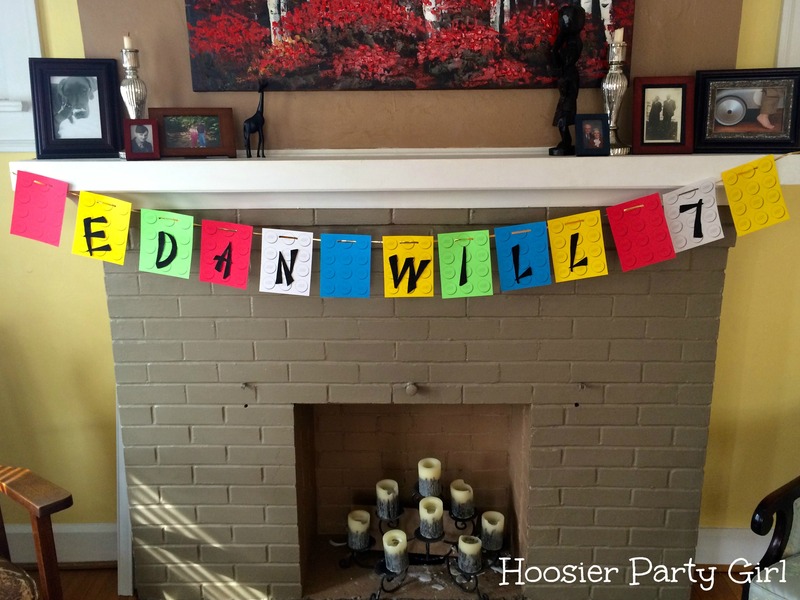 You could use the same font to add your child’s initial just like we did for the Mario birthday party. 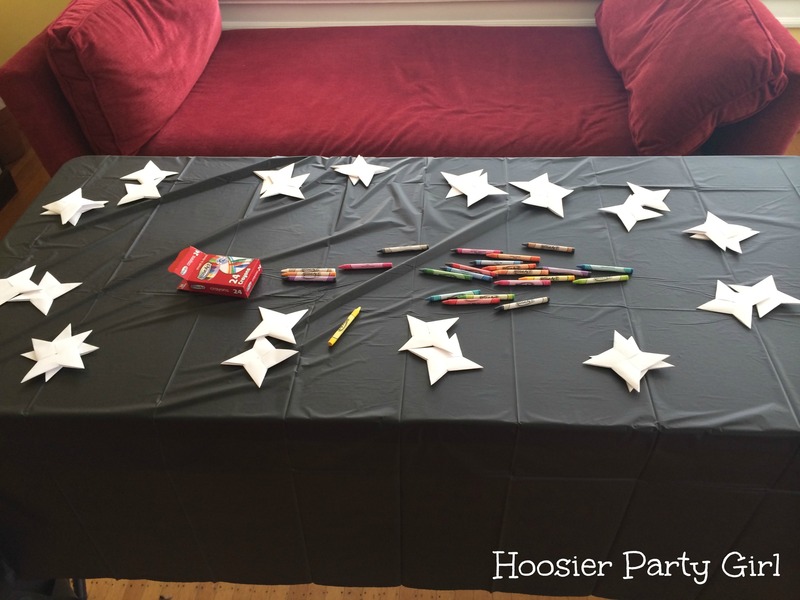 We are in full party prep mode here. I have been working on some things for a few weeks, but I am just getting them to the point where I can blog them. 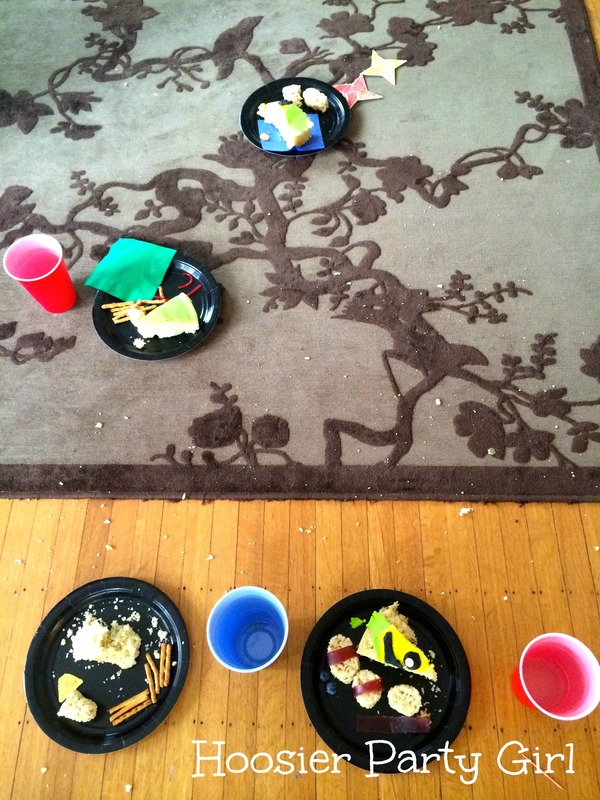 I can’t wait to show you the bunting for this party; I think it’s adorable. 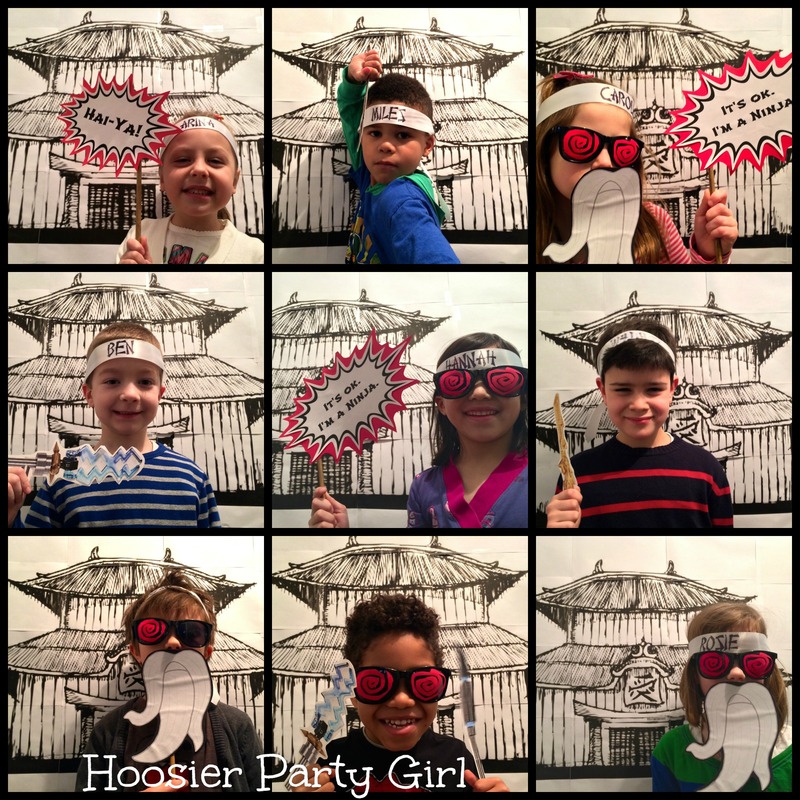 Most of this photo booth is made possible thanks to the generosity of other bloggers providing or linking to free printables. I found the backdrop at Craft Interrupted along with a couple of the props: Sensei Wu’s beard and the word bubbles. The weapons can be found here. I printed the backdrop at 4×4, trimmed the margins and taped it all together. It will hang on a gray wall during the party. I will try to take photos of all of the kids and email those as another Thank You/favor to the guests. For everything I printed, I simply printed on regular printer paper, cut out, taped (double sided tape) to card stock, and cut again. I printed the weapons enlarged (I believe at 300%, but looking below you can see they could be larger. The sticks on the beard and word bubbles are bamboo that was taped to the back. This was all super easy. 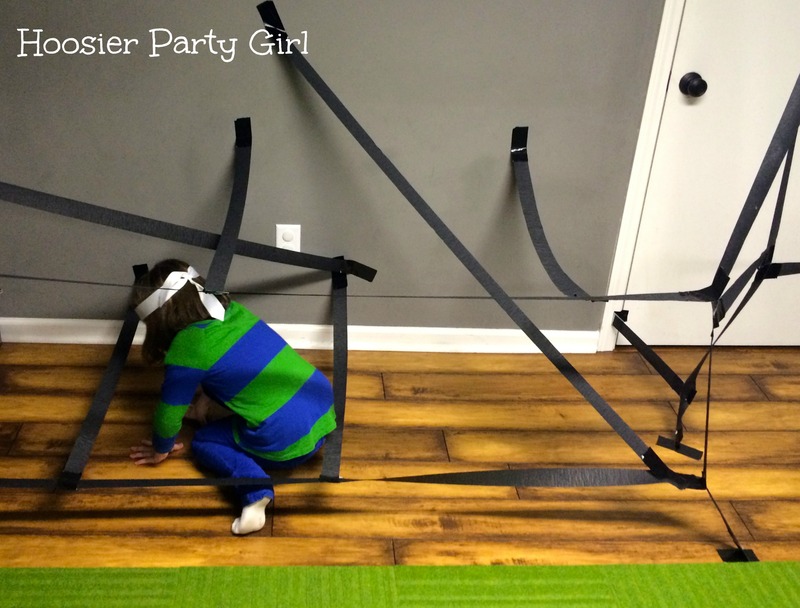 In fact, if you look closely, you can tell that my son helped tape the weapons. The Serpentine glasses are just $1 sunglasses with hand-cut spirals glued to the lenses. 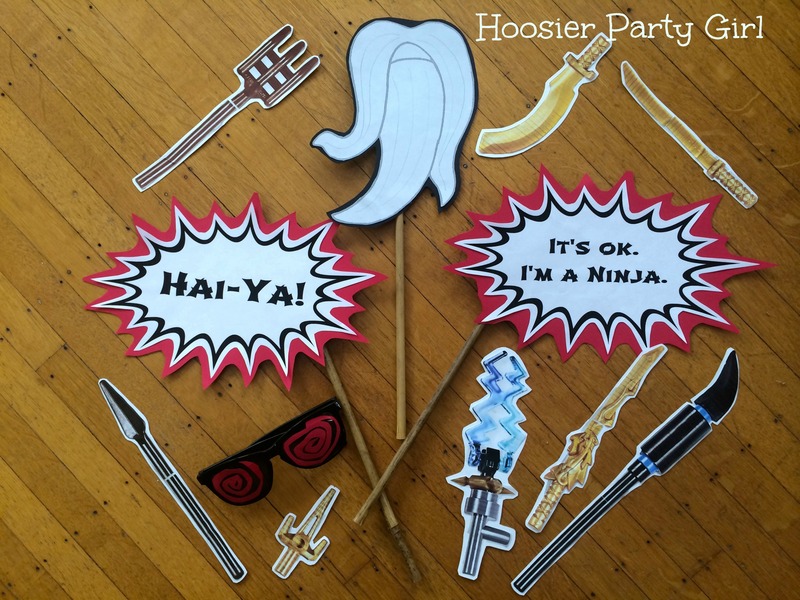 I am also making each child a personalized ninja head band to wear during the party and take home, but that is for another post.